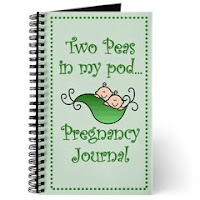 It's time for our first "My Baby Bump Maternity" Giveaway! At My Baby Bump Maternity, you will find the most adorable tees for both the mommy-to-be and the new little bundle of joy. Here are some of my favorite items from this boutique . . . 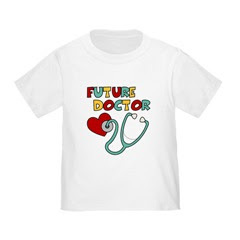 The prize for this contest is a "Future Occupations Infant/Toddler Tee" like the one shown below. How cute is that?! 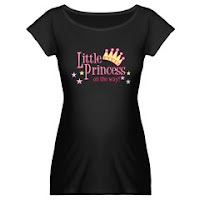 The winner will get to choose any one of the occupations offered, 1 of 4 color choices, and a size between 6mos and 4T. 1) Go to My Baby Bump Maternity and take a look around. Come back and leave a comment on this post about at least one item you would purchase and tell us who you would purchase this item for. If your favorite item is one of the 3 items shown in this post, tell us what your next favorite item is.